Can my roof be safely cleaned without causing damage? 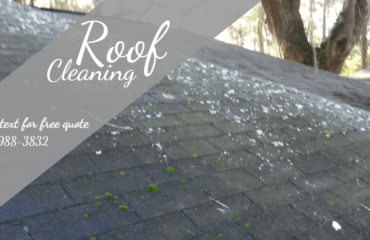 Yes, we offer low pressure roof cleaning Savannah Georgia. Roof Cleaning Savannah Georgia uses a low pressure roof cleaning process that has proven itself throughout Savannah and surrounding areas since 2009. 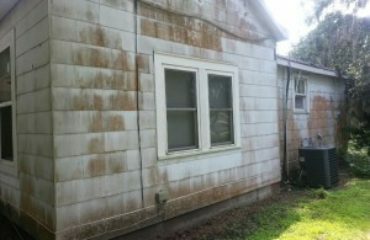 Chatham Property Maintenance has perfected a safe low pressure cleaning process to clean your roof without damage. Our roof cleaning process is so gentle to your roof it is similar to a very light rain drizzle. View our roof cleaning Savannah Georgia video demonstrating our safe roof cleaning methods. Do not let anyone clean your shingle roof with a pressure washer! Many pressure cleaning companies do not understand the process of safe roof cleaning. We only know of three other pressure cleaning companies who properly clean roofs. Cleaning asphalt shingle roofs with a pressure washer is not the correct process. Using a pressure washer to clean roofs will remove the granules shortening the life of your roof. Make sure your are hiring an experience roof cleaning company or it will cost you.